“Lesley, I want to thank you for the tremendous help you have given [my daughter] these past few months. Without your input and guidance I believe she would not even be close to having her essays complete, and I would be nothing short of a train wreck! Honestly, Lesley, you have made this a stress free experience for me and for that I will always be appreciative. I know she has learned so much from you.” —C. H.
“Connecticut College sent me a personalized email after I was admitted talking about how moved they were by my essay. I was ecstatic, to say the least. I must say that I have never been happier about a piece of my own writing, ever. I have you to thank for that. :)” —M.C. The news of my BU acceptance came as a surprise. With your talented writing techniques and skilled essay writing help, I was accepted to the university that I could only have dreamed about getting into. It is because of you that I was able to express myself for who I really am, through my wonderfully crafted essays to Boston University. I am so grateful for all the work you have done for me, helping me to become the improved writer that I am. You have an amazing job, and I hope that you realize how much and what you do for high school students. You made this process slow and steady with the best quality attached. I am so thankful for the work you enabled me to produce. Thank you Lesley. “I want to thank you from the bottom of my heart for being the force needed to propel David towards successful completion of this daunting college application process. You have a true gift for your work…I still can’t believe I found you…” —I. B., Washington D.C. I want to thank you for providing [our daughter] the opportunity to work with you. She has learned so much from you about the writing and editing process. It was such a support to her to have guidance from such a positive and calm person, with amazing expertise! When I sought your assistance, it was with the intent that she would have a great learning experience and not just crank out essays. Accomplished! “I just wanted to thank you for everything you helped me accomplish during my college [application] process. I not only wrote fantastic essays, but learned writing skills that will carry with me to college.” —A. F.
“Thank you so much for your help throughout. I truly appreciate everything you did, especially reviewing my material so urgently when you could tell I was so incredibly worried and stressed. Thank you so much, Lesley. I hope that all of your clients ended up where I did :-)” —Chris G.
“I am ECSTATIC about [my acceptances]! Once again, thank you so much for all of your help and support. I am still almost in shock.”—A.B. “I was accepted! Thanks for all your help. My essay was great. I will contact you again if I go for my PhD.” —T. T.
“Last week I was accepted to the USF Graduate Program for a Masters. The Dean of Admissions sent me an e-mail of acceptance and said she was particularly impressed with my personal statement. Thank you so much for all your help…your kind words, encouragement, and attention to detail.” —S. L.
—Wendy Lichtman, author of the Do the Math series, and essayist for the Washington Post, New York Times, San Francisco Chronicle, Good Housekeeping, and many others. “For three years I was the lucky recipient of Lesley’s elegant editorial eye. In exploring the depths of a story, Lesley listens with her heart and digs with a gentle but determined approach in search of your gold. In addition to using her excellent language skills, she employs a rare combination of intuition and intellect that results in a better piece of writing. What more can you ask of an editor?” —Aleta George, whose stories have appeared in the San Francisco Chronicle, Los Angeles Times, California Wild, Passionfruit, Poetry Flash, Travelers’ Tales American Southwest, and the award-winning anthology A Woman’s Passion for Travel. “As a professional author and former syndicated columnist, I’ve worked with numerous editors over the past fifteen years. Recently I’ve had the good fortune to have Lesley Quinn edit my latest book. What a treat! She’s sensitive, brilliant at teasing out the subtle gaps in content I thought I could get away with. ’ ’I ’d like to know more about how you FELT when you discovered your husband with another woman, ’ ’ she’ll say. Or, ’ ’I think the reader would like just a teensy bit more detail here, when your mother climbed into that dumpster to find second-hand treasures. Intermixed with these gentle prods Lesley encourages, commenting on my every original metaphor and beautiful phrase. ’ ’This is WONDERFUL, ’ ’ she enthuses, keeping my writing heart going another day. She notices both detail and global issues: ’ ’This segment has energy—but what about your overall theme here? ’ ’ After Lesley has been through a chapter, I know it’s been vetted by the most thorough, expert eye I could hope for. She’s truly one of the greats and I feel lucky to have found her.” —Joan Steinhau Lester is the author of four books, including Taking Charge: Every Woman’s Action Guide, and the biography Fire in My Soul: Eleanor Holmes Norton (Simon and Schuster, 2003). 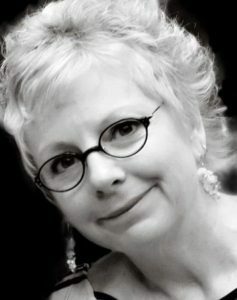 “Having a piece of writing edited by Lesley Quinn reminds me of the feeling I get when I relax into the chair at my hair salon…I know I’m in sure hands and involved in a collaboration to help bring forth the best part of myself.” —Heather Bloch, freelance writer whose work has appeared in the San Francisco Chronicle The Baltimore Sun, San Francisco Magazine, and Bark, among other publications. “In my experience as a freelance writer, I have yet to meet anyone as skilled as Lesley in analyzing both detail and the general structure of my writing. Her elegant wording and flawless sentences make her stories easy to read. She understands language and how to make it work for her, resulting in a precise style that isn’t pretentious or rambling. In addition to writing well, Lesley’s gifts include the ability to read or hear a piece for the first time and give a thorough and diplomatic assessment, ranging from word choices to overall structure. Most of all, I admire her skill in pinpointing a story’s true theme and/or direction. She often sees where my story is headed before I do. She explains the reasons behind her remarks, allowing me to focus on the rewrite as a whole, as opposed to a list of unrelated suggestions. I continue to thank the cosmos for dropping me into Lesley’s orbit. Her talent is exceptional.” —Catherine Shephard’s work has been published on Salon.com, the San Francisco Chronicle, the San Jose Mercury News, the Denver Post, the Pittsburg News-Gazette, and Skirt! Magazine. you so much for all your help! hopefully will help her throughout the year. We will most likely circle back to you next year for help with her college essays. to zero and giving me your expertise and wonderful editing.